This view makes the very rugged mountain peaks very close to the town. Very dramatic shot of the town square. Outstanding capture of this beautiful town! 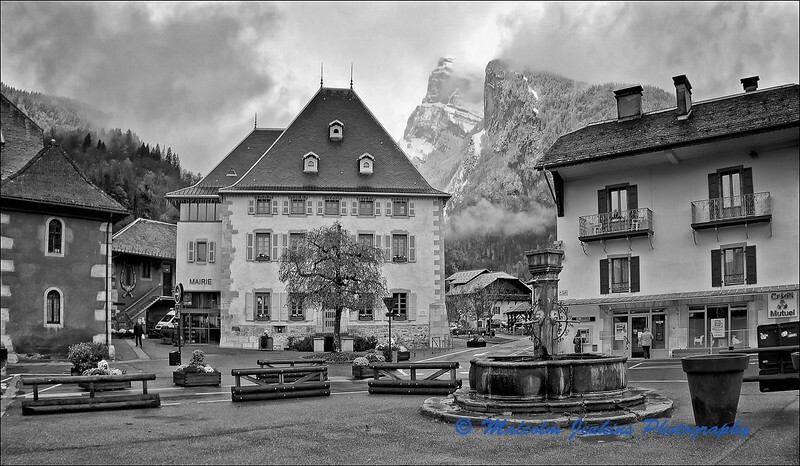 Wonderful composition & simply lovely in b & w.
Terrific B&W you captured of this town square.